Selling a coop in NYC without a Realtor is not as difficult as real estate brokers make it out to be. The most common mistake home sellers make is thinking the process is as easy as posting their home for free on Zillow as a “for sale by owner,” or FSBO listing. 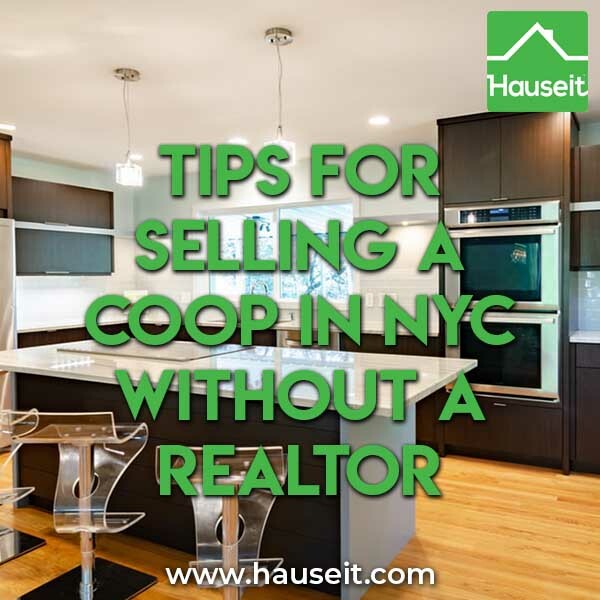 Many first time home sellers make the mistake of thinking that selling a coop in NYC without a Realtor requires no monetary investment or research in how the real estate industry works. This is a critical mistake for those about to market the biggest asset they own. The internet may have made home searches easier than ever for consumers, but selling your home is an entirely different matter altogether. You have to realize that even though it’s easy to list your home online on websites such as Zillow, it has very little effect on whether you’ll actually be able to sell your home. The problem with simply listing your home for sale by owner on Zillow is that your listing is automatically considered “off-market” because the vast majority of home buyers will not notice your listing. Why is that? Because over 90% of all home buyers are represented by real estate agents. How could this be possible when over 98% of home buyers now start their search online by themselves? This statistic is easy to comprehend once you realize that real estate agents represent the biggest sales-force in the world. There are 50,000 licensed real estate agents in the NYC metro area. 96% of NYC listings are traditional for sale by agent listings. Every agent who comes in contact with a home buyer will tell them that buyer agent services are free for home buyers. The seller always pays a fixed fee that covers the commission of both buyer and listing agents. The seller does not get a break in the commission if the home buyer is unrepresented. Every agent who is out and about, networking, cold calling and reaching out to buyers who inquire on listings and buyers from other lead generation platforms will pitch free buyer agency services. It’s a deadly effective pitch on an unsuspecting home buyer especially when that home buyer doesn’t need to sign any sort of exclusive contract or pay anything! After all, who would turn down a free, personal concierge and industry veteran to guide you through one of the biggest purchases of your life? Who would turn down free hand-holding, advice, scheduling and coordination? Who would turn down the opportunity to be spoon fed interesting listings that a veteran agent will tailor for your specific needs? Why do real estate agents representing buyers ignore FSBO listings? Because there’s no reliable, standard way for them to get paid commission. You can’t expect someone to work for free right? Most FSBO sellers will write “principals only” or “no brokers” on their listing. You can guarantee that this will be deadly effective in driving away the 90% of buyers who are represented by agents. What if I’m willing to offer commission to buyers’ agents? Some FSBO sellers get the bright idea of adding to their listing description “will work with buyers’ agents” or “will offer 3% to buyers’ agents.” Shouldn’t that be enough? Unfortunately not. Think about it. You are a FSBO seller which means there’s a high probability that you hate real estate agents and have already demonstrated a willingness not to pay any commission. Why would an agent risk introducing their international, all cash buyer to you based on a vague promise you wrote and can easily take off your listing description? Traditional real estate agents are so effective because of their ability to “co-broke,” which means to contractually and automatically split commission with other agents. How are they able to do this? In order to access the RLS (REBNY Listing Service) broker to broker shared listings database, every REBNY member firm will be required to sign a universal co-brokerage agreement which will contractually obligate them to co-broke and honor whatever commission they offer to buyers’ agents in RLS. As a result, there is no need to sign a separate commission agreement for each deal and buyers’ agents can rest assured that they will get paid. It’s so effective in fact that buyers’ agents regularly send their clients to open houses and even private showings unaccompanied. They can only do this because of the strict rules and mandatory co-broking that all firms have agreed to. 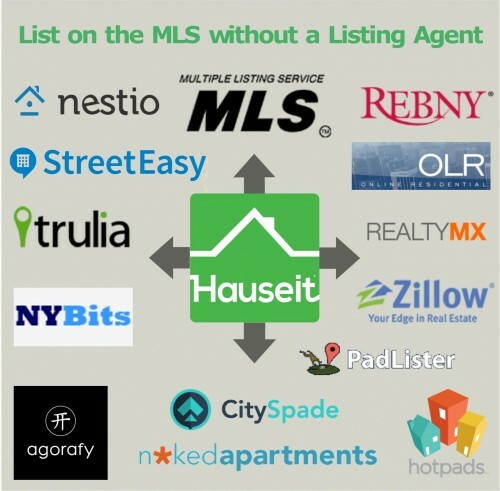 Furthermore, remember that over 96% of listings in NYC are listed by agents. So unless a FSBO property is literally the only property that fits a buyer agent’s client will that agent dare touch it. Even then, the agent will have to get the owner to sign some sort of a separate commission agreement and very cautiously protect the contact information of his or her client. Even then, the buyer agent runs a massive risk of introducing the listing to his client because his client could realize that he might get a better deal by going direct. Given this risk, it’s unlikely in almost any scenario that a buyers’ agent will even send a FSBO listing to their client. And if a client asked about a FSBO listing, the buyers’ agent would likely just say that the seller was unresponsive and try to convince the buyer to go see other listings. Don’t make the mistake of paying up to $1,000 for a listing from a “national” for sale by owner website that claims coverage for the entire United States. 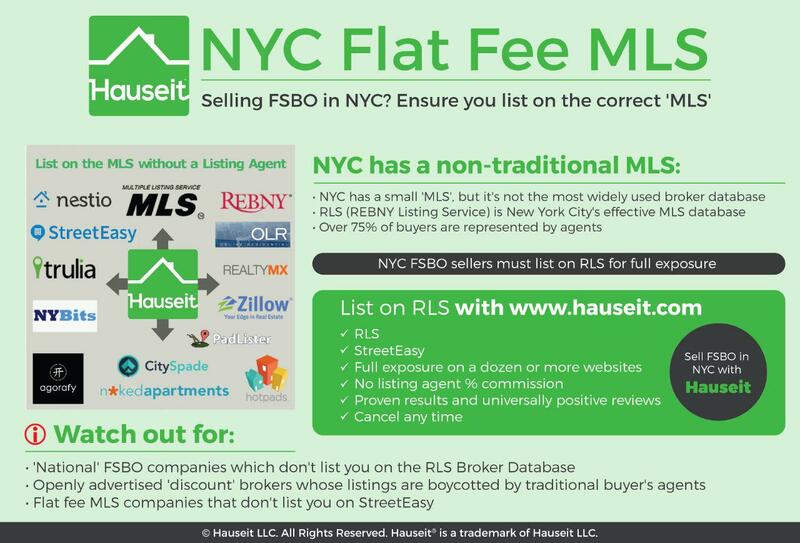 You’ll notice that they claim to list you in your local “MLS.” How can that be when there is no dominant MLS in NYC? The sad reality is they’ll likely list you in the NY State MLS, Long Island MLS or some other brokerage database which no New York City brokers subscribe to. Moreover, they’ll watermark all of your photos with their for sale by owner company logos so that even the most oblivious broker will know your listing is really a FSBO sale. Even worse, these “national” for sale by owner websites won’t even list you in local NYC real estate search websites like StreetEasy or Brownstoner. As a result, you’ll be paying up to $1,000 to list your home on an irrelevant out of city MLS plus a handful of free websites such as Zillow or Trulia. You’ll get the same minimal buyer exposure by just listing your home for free on Zillow yourself! There are 50,000 licensed real estate agents in NYC, shouldn’t that make real estate brokerage the most price competitive industry there is? Unfortunately not. The truth is most agents are only licensed real estate salespeople who work for the largest brokerages in the city. These large brokerages are all very “corporate” and have strict firm policies on commission rates. Potential collusion is much easier once you realize it is not 50,000 individual agents setting commission rates. Rather, it is a handful of large brokerage CEO’s who maintain the status quo of 6% commission to sell. What about smaller brokerages that openly discount? It is too easy for agents at larger brokerages to claim that home owners won’t get full marketing exposure through a small “mom and pop” brokerage. Sometimes the claims are true if the small brokerage is not a REBNY member or simply too unprofessional in nature. Often times, the claims are purely predatory lies used on home owners lacking basic knowledge of the real estate industry. It’s even easier for larger brokerages to single out small boutiques and one man operations who openly discount. There’s a good reason why openly discounting has never worked for hundreds of years. Just imagine sitting down at a closing table. How awkward do you think it will be if everyone around the table knows your agent isn’t taking any commission? Even though it is clearly illegal for traditional brokers to discriminate against discount brokers, you simply cannot eliminate unwritten ill will or negative sentiment. Openly discounting is well intentioned but ill conceived. Because over 90% of deals in NYC are done between a buyer’s agent and a listing agent, you need the cooperation of other brokers to be able to close deals. That cooperation will be hamstrung when a broker decides to bite the proverbial hand that feeds him and start openly discounting and lambasting the wider brokerage community about how unreasonably high commission rates are. How do you think other brokers will feel about the discount broker when he starts sending out press releases about how he’ll work for less and everyone else is overpaid? Naturally, it’ll be carefully watched and it will incur a lot of resentment. Resentment will naturally lead to some form of boycotting which is formally illegal under state licensing and federal anti-trust laws but quite hard to police. After all, how do you know that a broker is refusing to show his buyer a certain property? Perhaps the broker just thought it wasn’t a good fit for his buyer? In real estate, a picture really is worth a thousand words. Photographs of your home online are the first thing home buyers will see. Often times buyers won’t even bother to look at your listing description. So what do you want to convey to home buyers when they see your property? It’s an incredible how many FSBO home sellers want to just wing it and not invest a few hundred dollars on professional photography. Do you truly want to sell your home or what is the point of you listing it in the first place? 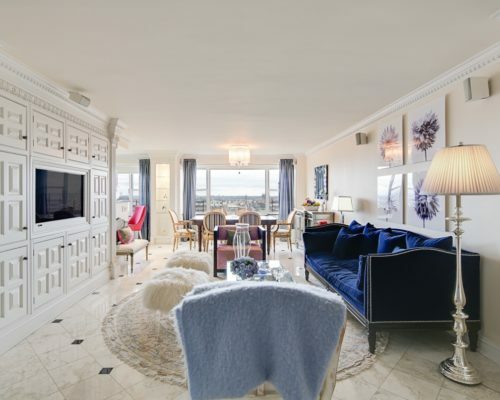 If you’re selling a coop in NYC with terrible photos taken by your grandmother’s flip phone camera, how do you think buyers will perceive your home? Here are is a real life example of what a Hauseit customer’s home looked like before and after we took professional photos. Do you see the difference? The first photo was a joke. How serious can buyers expect you to be about selling if you refused to even pay for real photos? Is it even a real listing? Often times FSBO listings on Zillow are spam, fake listings put up by desperate agents in order to attract buyer leads. Not only will selling a coop in NYC with terrible photographs lead buyers to believe that your listing is fake, it’ll also lead buyers and agents to believe you might simply be testing the market. Ironically, listing FSBO on Zillow is a terrible way to test the market as you’re missing out on 90%+ of buyers who are represented by agents by default. Pro Tip: Don’t get solicited by agents without buyers! One of the toughest parts about selling a coop in NYC without a Realtor are the dozen or more daily calls and emails you’ll receive from agents hoping to poach you as a traditional listing client for 6% commission. 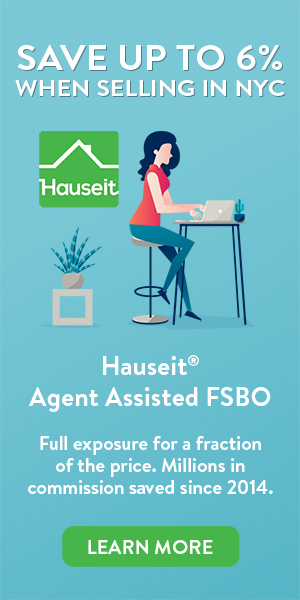 As a traditional FSBO seller, not only will you be avoided by agents representing 90% of home buyers, you’ll also be actively harassed by junior agents looking for new listing clients. Writing “no brokers” or “principals only” will not discourage these hungry junior agents sent out to cold call hapless FSBO sellers. They’re known to repeatedly call back even if you turn them down cold the first time! Yes you could not include a phone number on your listing, but won’t you be missing out on potential buyers who want to speak right away? Moreover, it’s not exactly difficult for agents to trick you into providing your email and phone number. They’ll simply email you from a personal email account and ask to speak with you about an offer or something else misleading in order for you to reveal your contact information. Even if you successfully find a buyer for your NYC coop apartment and sign a contract, your deal is far from being closed. As you may have learned when buying your coop, NYC coops have a rigorous vetting process for potential new shareholders. The risk of rejection is very real, and therefore the entire coop application process must be taken very seriously. The coop review process begins with the submission of a NYC coop board purchase application. The application itself is usually submitted after the contract is fully executed, and in the case the buyer is financing, after the buyer receives his/her mortgage commitment letter from the bank. If your buyer is represented, then his/her buyer’s agent will take a leading role in preparing the board application. You may consider this service as being a small benefit for you having to co-broke and pay a commission to a buyer’s agent. If your buyer is unrepresented, you as the seller will need to work closely with the buyer in order to make sure the application is flawless and thorough. We suggest you read these tips on how to prepare a NYC coop board package application.